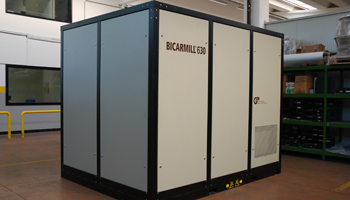 In line with our philosophy of maximum reliability and lifespan for our installations, we equip our milling and selection systems with innovative devices which constantly monitor vibrations and correct functioning of the grinding and ventilation unit. 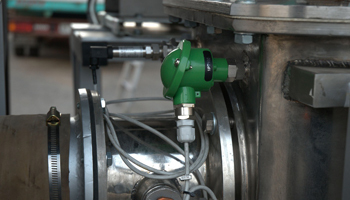 Abnormal vibrations which could be caused by build-up of encrustations or worn bearings are immediately detected and signaled. Correct use of this data allows cleaning and maintenance to be reduced to the bare essentials and planned well in advance. The dissipation of milling power in heat energy has a negative impact on the performance of grinding and classifier mills. Certain products can cause obstruction, encrustation and increased vibration if they are milled at too high a temperature. 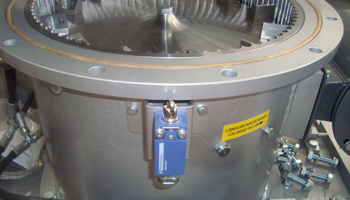 To limit the effects of this problem, STM classifier mills are fitted with a probe which detects the temperature inside the grinding chamber, with two programmable limits: the first activates a warning signal, the second stops the machine. 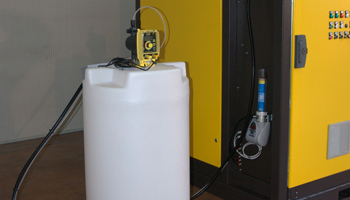 The two trigger points are regulated to the appropriate levels for each individual system, taking into account ambient temperature, the properties of the product to be milled and the relevant productivity parameters. It is well known that the biggest cause of failure of rotary bearings is due to incorrect or lacking lubrication. 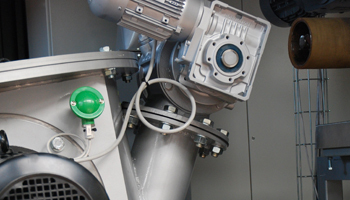 Effective management of lubrication in machines like grinding mills is fundamental, both because of the high speed of rotation (around 100 m/s) and because in an industrial context, reliability and lifespan of machinery are of utmost importance. 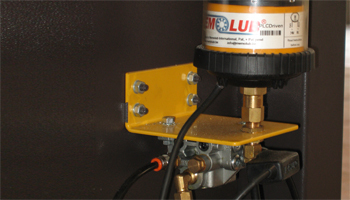 To guarantee perfect lubrication, STM mills are equipped with technology whereby an oil pneumatic electronic controller is programmed to apply the correct quantity of lubricant to each point needing lubrication. 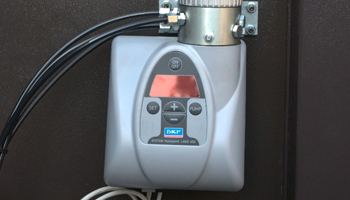 It then interfaces with the PLC to warn the operator in good time of any obstructions in the lubricant tubes or when the lubricant reservoir needs refilling. 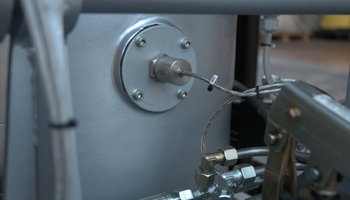 The increased reliability resulting from this approach brings significant savings in extraordinary maintenance and a clear reduction in un-programmed stoppages of machinery. 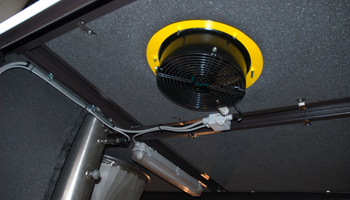 To improve working conditions and comply with increasingly stringent regulations on noise levels, on request or when necessary, our machines can be enclosed in a soundproof cabin with interior lighting and panels which can be quickly dismantled to access all the mill's working parts safely and easily. Certain products, for example bicarbonate of soda, tend to build up on the walls and parts in contact with the powder on milling. To avoid encrustations forming on the rotor, ventilator and tubes inside the mill, series JCF and BICARMILL machines by STM are equipped with a peristaltic pump for dosage of anti-caking additives. 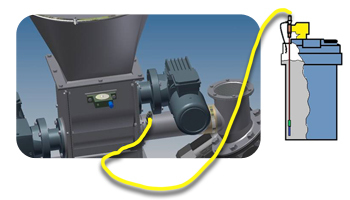 The control system regulates the quantity of additive in relation to the milling capacity of the machine, maintaining a constant ratio at the required percentage (usually 1.5‰). 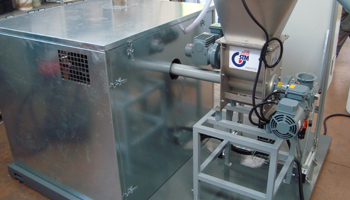 One of the most commonly used anti-caking additives is based on non-toxic glycols, which are extremely effective at very low dosage, and can be used in large-scale production, being fully compatible with the product and the milling process.